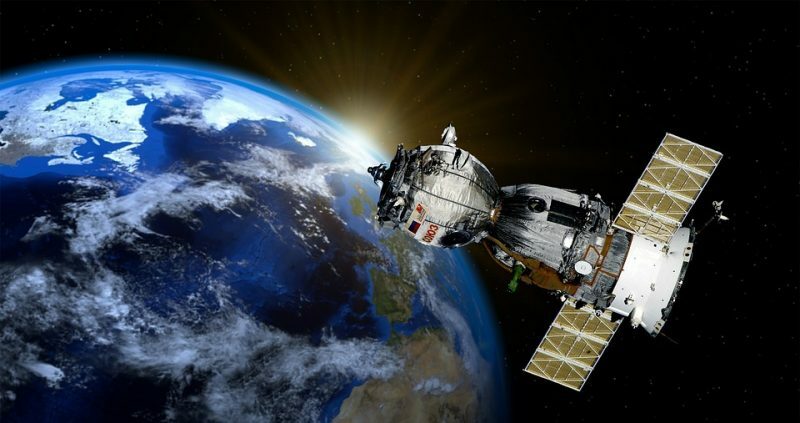 These findings are described in the article entitled Optimization of satellite constellation deployment strategy considering uncertain areas of interest, recently published in the journal Acta Astronautica (Acta Astronautica 153 (2018) 213-228). This work was conducted by Hang Woon Lee, Pauline C. Jakob, and Koki Ho from the University of Illinois at Urbana-Champaign, and Seiichi Shimizu and Shoji Yoshikawa from Mitsubishi Electric Corporation. A new generation of telecommunication satellite constellations known as mega constellations is trending. These technological state-of-the-art systems are characterized by unprecedented scale of satellites — up to hundreds and thousands of satellites — enabled by the mass-production of small satellites. Examples of such global telecommunication systems are OneWeb and SpaceX, which each planning to use 900 and 4,425 satellites, respectively. However, these satellite constellation systems are known to be prone to various uncertainties arising from the ever-changing market, geopolitical, and administrative issues and, therefore, pose great financial risks. Deploying for a final-operational-capability configuration at once can be extremely costly, usually in the order of multiple billions of dollars, and yet a failure to correctly predict the market demand may lead to financial collapse as observed in the prior generation systems — Iridium and Globalstar filed for bankruptcies in 1999 and 2002, respectively. What can be done to avoid such financial catastrophe? For a high-cost constellation system, a flexible option to deploy its global coverage configurations in stages can be considered — deploying an initial-operational-capability (IOC) configuration at first and gradually increasing its system capacity by deploying additional configurations. A real options analysis can be adopted at each determination point whether or not to increase its system capacity via an additional deployment. This global staged deployment strategy can be effective when the demand is uniformly distributed over the globe and a relatively low-quality service with a small number of visible satellites is tolerable at the initial phase. Unfortunately, however, the actual communication market is often not uniformly distributed over the globe; there are the highly profitable areas of interest, like Europe and the US, and the less profitable areas of interest, like the Pacific Ocean. In addition, a low-quality service is often not satisfactory in the competitive environment of the communication business. Therefore, the global staged deployment strategy may not be the best strategy to overcome the financial hurdle of mega-constellations deployment. In response to this challenge, a group of researchers, led by Professor Koki Ho, from the University of Illinois at Urbana-Champaign and Mitsubishi Electric Company proposed a staged deployment strategy that considers the evolution of areas of interest in time. This approach commences the staged deployment strategy with the IOC configuration over a local region. Instead of sparsely distributed satellites around the globe, this strategy leverages the repeating ground track orbits to let the constellation cover a particular region and provide satisfactory services in that local area. Each stage of deployment is considered to have its own regional area of interest, and the deployment can start from profitable regions, then cover less profitable ones, and eventually provide global coverage. One key challenge in this strategy is the uncertainties in the temporal evolution of the areas of interest due to the difficulty of accurate future demand forecasts. In the considered staged deployment strategy, the area of interest for the first stage is selected by the designer of the system based on the initial demand analysis but the area of interest for the following stages remain uncertain among a few candidates. A stochastic optimization over different demand scenarios is then conducted to minimize the expected cost of the system under uncertainty in the evolution of areas of interest. The cost of the system includes manufacturing and launching costs of satellites and accounts for satellite decommission strategies. The case study considers a two-stage deployment strategy from the first stage perspective where the area of interest of the first stage is Japan while the candidates for the area of interest of the second stage are the contiguous United States (CONUS), Europe, or India. Each of the second stage candidates has the probability of the selection as the second stage area of interest determined by the demand model. Figure 1. 3D and ground track views of the optimized constellation for unique satellite design case. Image republished with permission from Elsevier from https://doi.org/10.1016/j.actaastro.2018.03.054. The results of the stochastic optimization of the two-stage deployment strategy suggest that the optimized two-stage configuration can save about 28.9% and 19.5% of the lifecycle costs when compared to that of the global coverage constellation for unique and same satellite design cases, respectively. The resulting configuration forms an asymmetric multi-layered constellation. The proposed framework can be further generalized to handle multiple regions and multiple stages with the possible consideration of the global coverage in the final stage. Koki is an assistant professor at the University of Illinois Urbana-Champaign, Department of Aerospace Engineering.